Your first time should be special. I’d never gone to an onsen before—okay that’s a lie. If you count the one in Japantown in San Francisco, then yes, I’d been to one, and it was pretty good. 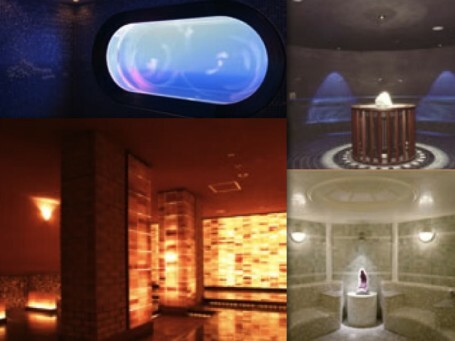 But it was nothing compared to the super deluxe chill-out palace that is Spa La Qua in Tokyo Dome City. For ¥2565 you get access to three floors of baths, nap rooms, and restaurants, all in a beautifully orchestrated setting, and for an additional ¥525 you can access the top two floors of the mighty Healing Baden. I did the whole shebang because I knew once I was in leisurewear and firmly planted in my happy place, I wouldn’t be leaving any time soon. After I checked in and got my spa gear, I went to the ladies’ locker room to shower and change. The first thing I see is a huge makeup bar—a MAKEUP BAR—filled with high-end cosmetics and skincare that are free for guests to use when they’re finished. Just then, the heavens opened and tiny pink cherubs, wearing golden eyelash extensions floated down, playing harps. Girl paradise has been found. But first, the water party. There was one thing though. I have a tattoo—not a huge one, but big enough that I knew it would be noticed during naked time. Spa rules say NO TATTOOS everywhere, but some old-school foreigners told me that if you’re not blazing with full sleeves or a huge back piece, just covering it would be okay. I’ve also heard that the no tattoo rule was designed to keep the Yakuza out of the spas, so patrons don’t feel nervous. Whatever the reason, turns out they were right- I kept it strategically covered and I had zero problems. 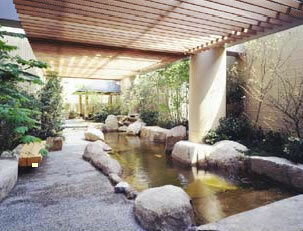 The waters of Spa LaQua are sourced from the nearby Koishikawa Hot Springs and are known for their many healing benefits. The high levels of sodium chloride are thought to improve circulation and moisturize skin. I don’t know the science behind it, but after luxuriating in the warm, herbally waters of the outdoor zen pools, my skin felt like silk. The perfect post-treatment after all of the sun I had gotten in Shimoda. After this I took my pruney fingers up to the Healing Baden to wander around and see what was good. Turns out—everything. There are five sauna rooms of varying temperatures, my favorites being the pined lined hut-style, the amethyst crystal room, and the cool room, which features a gorgeous tank of jelly fish to space out on. Wandering around, I discovered the beauty zone (just my name for it). Massages, facials, eyelashes, hair removal, nails, ear candle-ing: just about any pampering you can think of, they do. Each facility has a menu and price list, so you can shop around and try new treatments. After several hours of soaking and sauna-ing (new word), I was reaching wet noodle condition. It was nap time. They have expansive rest areas throughout, but there is a lounge especially for women where you can flop down on an oversized recliner with your blanket, order food, watch TV, read magazines, or just sleep. I just slept. For how long who knows. It was time to roll, and honestly I could have stayed all night—and they let you! For an additional ¥1890 you can stay until the next morning. 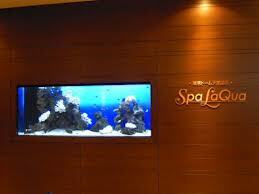 For busy people needing a recharge, Spa LaQua is nothing short of magical. It’s a high-end retreat without destroying your budget, and its easy access means you don’t have to make a day trip out of it. But once you’re there, you totally will. It is an ideal destination and attractive.